In a fit of pique, the Minister is now threatening to block the whole Waste Reduction Bill on a technicality. 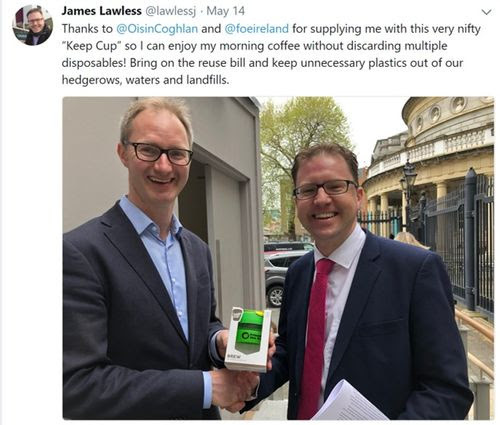 That would scupper not just the deposit and return scheme but also a proposed ban on plastic straws and cutlery and the Minister’s own idea of a levy on disposable coffee cups! We need all TDs to stand with the Environment Committee and demand the Minister allow the Bill proceed to the next stage. After all, the Dáil unanimously agreed to progress the Bill last year. 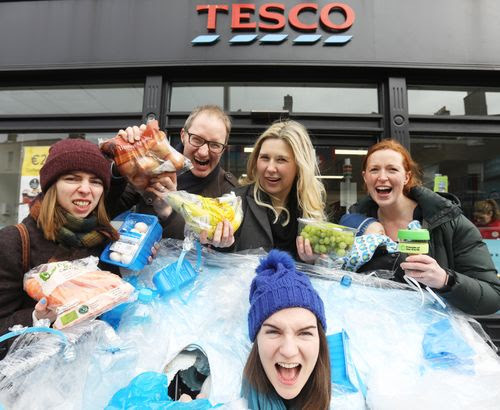 We’ve got a creative solution to plastic pollution, but we need your help! Now, we want to put that solution in the hands of your TD as they decide the fate of the Waste Reduction Bill. This year, our Keep Cups have created a useful talking point to get people to consider the impact of unnecessary, non-recyclable coffee cups on the environment. We’re currently throwing away over half a million disposable coffee cups a day in Ireland alone! There are solutions to plastic pollution, chip in to put one in your TD’s hands! Our Keep Cups cost EUR 12 to purchase from the supplier. Will you chip in the cost of a coffee so we can send one to your TD? But we have to move fast, before the Bill gets sidelined. We need to deliver the Keep Cups in early June to keep up the pressure for action. Or can you sponsor a whole Keep Cup? 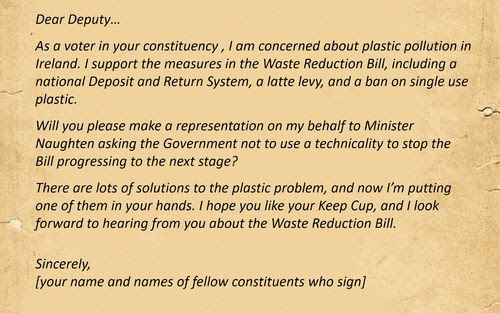 Whatever you can afford to give, we will add your name to a card to your TDs asking them to support Waste Bill. Want a Keep Cup of your own? 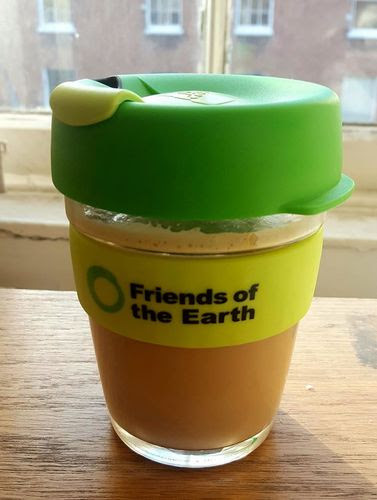 Sign up for a monthly donation and we’ll send you a Friends of the Earth Keep Cup. Thanks for your support on this important issue!